When we think of improving food access, charity is often the first route that comes to mind—food banks, pantries, backpack programs, and so on. Such efforts fall to one end of the food work spectrum into the territory of “emergency food.” Food system development, however, works at the other end of that spectrum addressing root causes charity alone is unable to resolve. Development work is more holistic than charity in that it focuses on improving relationships, access, and equity along the entire food system loop—from production to processing to distribution to consumption to recovery and back to production—thereby creating a better food system that works for everyone and mitigates the need for emergency food and charity. Food system development at its core is community development, and Forsyth Foodworks serves as a base for the community to promote, coordinate, and champion this necessary arena of long-term development work. This isn’t intended to pit charity work against development work, but simply highlight how important development is. We are seeing a wealth of dedicated food projects surface—from new farmers markets to community gardens to locally-sourcing grocery stores to new public health initiatives and more. What we are also seeing is a great deal of fragmentation. Efforts do not seem to be aware of other complementary efforts; funding and project support get diluted across similar initiatives; as such, the power behind our local food movement fails to be as formidable as it otherwise could. Through the networking and community engagement efforts of Forsyth Foodworks, we serve as a central, independent, community-driven hub to stoke conversation, awareness, collaboration, and cooperation, thereby collectively organizing toward a stronger, more inclusive, effective, and efficient local food movement. As everyone one of us eats and therefore is an active food system participant, everyone has a stake in how that system operates. As such, Forsyth Foodworks’ most valuable asset is that it serves as an independent portal for the community to engage on a development level with its food system. Forsyth Foodworks is a well-networked, innovative platform where community members can connect with peers, share experiences, research models and best practices, advocate for policy from the local to the state-level and beyond, access resources to develop community projects, and bring grassroots and grasstops in closer communication with one another. Changing systems is a patient and methodical process. 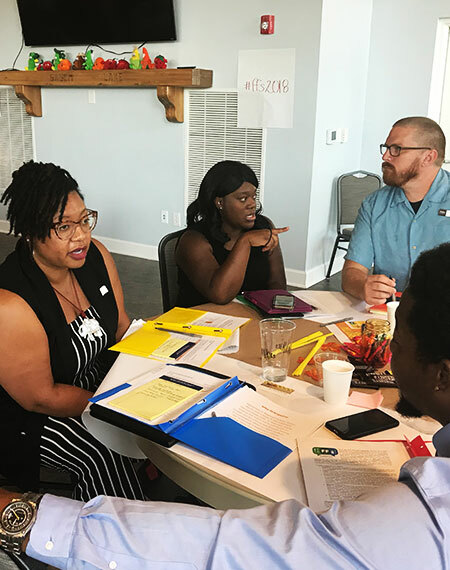 To begin to uncover solutions to embedded community issues, to uncover opportunities within embedded community potential, to uncover new community connections within historic community marginalizations all essentially begins with first making space to have inclusive conversations. 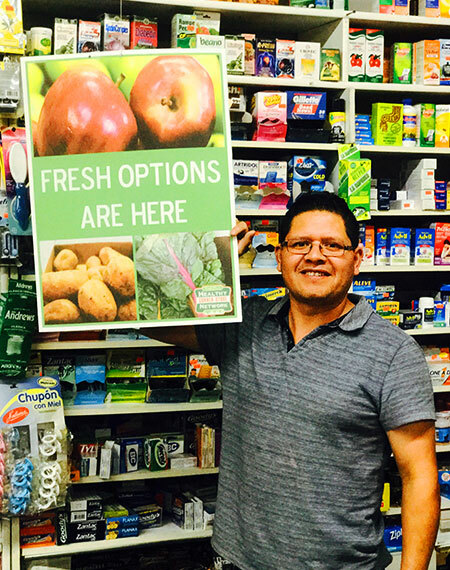 Forsyth Foodworks helps fill a void in how it serves as a powerful convening space to host new conversations and community processes which lead to new opportunities, connections, and possibilities toward positive food system change.